Contrasted with paperwork or parking violations, moving violations occur when you are actually traveling in your vehicle. Because the vehicle is in motion and thus more dangerous at the time of the infraction, the penalties for moving violations tend to be more severe than those for others. Moving violations can range from the relatively minor, such as improper backing, to more serious, such as driving under the influence. On this page, you will find a description of the most common minor moving violations and their typical penalties. 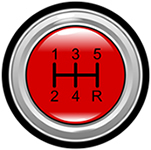 This offense is rather broad, as a number of situations exists in which a driver must yield. Drivers might receive citations for failing to yield the right of way, to pedestrians, to overtaking traffic, or to emergency vehicles. While some states keep the penalties for this offense the same regardless of the circumstances of the failure to yield, others may vary the penalty. For instance, failing to yield to a pedestrian in a crosswalk may carry a stiffer penalty than failing to yield to overtaking traffic. In New Jersey, failing to yield may result in different monetary penalties, but drivers who receive any such offense will receive two demerit points against their licenses. In California, failing to yield usually results in a $200-$300 fine and a certain number of hours of traffic school. Although following too closely is one of the leading causes of traffic accidents, tickets for following too closely are relatively rare. Detecting tailgating is more difficult for police officers than, say, speeding, so most tickets for this offense are written after an accident (typically a rear-ending) has occurred. Most states define tailgating as following another vehicle "more closely than is reasonable and prudent, having due regard for the speed of such vehicles and the traffic upon and the condition of the highway." The penalty for following too closely will of course depend on your state, but it usually involves a fine and points assessed against your license. For instance, in Georgia, drivers will typically pay $200-$300 and receive three points against their licenses. In most states, the fine for a first-time offense is a little over $100 and results in two demerit points against the driver's license. For multiple offenses, offenses that result in accident or injury, and tailgating that qualifies as aggressive driving, the penalties will be more severe. Aggressive driving as it relates to tailgating is usually defined as following too closely for the purpose of annoying, harassing, intimidating, molesting, obstructing, or injuring another driver. In most states, this citation results from the breaking of either of the following two restrictions on backing: 1) "The driver of a vehicle shall not back the same unless such movement can be made with safety and without interfering with other traffic." 2) "The driver of a vehicle shall not back the same upon any shoulder or roadway of any limited access facility." For example, if you are backing out of your parking space at work and hit another car parked behind you, the police (assuming a police report is requested) will likely be legally compelled to issue you an improper backing citation. In Michigan, an improper backing violation results in a $100 fine and zero points against your license typically. In New Jersey, the fine is usually $100 or less but two demerit points will be put on your license. "The driver of a vehicle overtaking another vehicle proceeding in the same direction shall give an appropriate signal, shall pass to the left thereof at a safe distance, and shall not again drive to the right side of the roadway until safely clear of the overtaken vehicle. The driver of a vehicle overtaking a bicycle or other nonmotorized vehicle must pass the bicycle or other nonmotorized vehicle at a safe distance of not less than 3 feet between the vehicle and the bicycle or other nonmotorized vehicle." "Except when overtaking and passing on the right is permitted, the driver of an overtaken vehicle shall give way to the right in favor of the overtaking vehicle, on audible signal or upon the visible blinking of the headlamps of the overtaking vehicle if such overtaking is being attempted at nighttime, and shall not increase the speed of his or her vehicle until completely passed by the overtaking vehicle." Violations of either of the aforementioned guidelines in Florida will result in a fine of not more than $500; four points if an accident occurred, three if none occurred; and possibly mandatory traffic school. In New Jersey, the statute is much more explicit, creating an entire penalty category for the "improper passing of a frozen dessert truck" (NJ 39:4-128.4, four-point demerit penalty), for example. In New York, improper passing or changing lanes unsafely will result in a fine and three points against your license. In most states, the definition of an improper turn is similar to that of New Jersey, which is detailed below. "A driver is guilty of making an improper left or right turn at a traffic signal when he or she fails to turn with proper care on the green light. The driver may also commit this offense if he or she turns right when facing a red light without coming to a full stop and yielding to all pedestrians and traffic traveling in the direction in which the turn will be made. A driver can also be convicted if he makes a right turn on a red light at an intersection that has a sign posted prohibiting such a turn." "New Jersey law permits motorists to make a right turn at a red light after coming to a full stop, unless a No Turn on Red sign is posted. 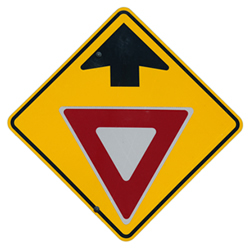 Yield to all oncoming traffic and pedestrians before turning right at a red light. Look for difficult-to-see vehicles, such as bicycles and mopeds, which may have a green light." "Always use a proper turn signal at least 100 feet before making any turn. Cancel the signal after the turn is complete." All of the following scenario is illustrative of the definition of improper turning. If you come to an intersection with a red light, stop, and turn light even though a no-right-on-red sign is posted, you will be cited for an illegal turn. Likewise, the police might also issue an improper turn citation if you turn left on a yellow or red light when not already in the midst of an intersection. The fine for an improper turn usually ranges from $50-$200 in most states. In New Jersey, the driver cited will also receive three demerit points against his/her license. In Birmingham, AL, an improper or illegal turn will result in a fine of $133 and two points against the driver's license. The improper passing of a school bus is among the more serious minor moving violations, presumably because such an infraction could jeopardize the physical safety of children. Typically, the applicable statute will define the offense according to whether the roadway is "divided by safety islands or physical traffic separation installations," as in New Jersey's statute (NJSA 39:4-128.1). On roadways without such a barrier, both vehicles overtaking and approaching the bus must stop no fewer than 25 feet from the bus and keep the vehicle stopped until the child has "alighted" and reached the other side of the roadway and the bus driver has turned off the flashing stop sign. On roadways with a median or other barrier, traffic overtaking the school bus must heed the same protocol as on roadways without a barrier. However, on roadways with a median, vehicles approaching the bus (coming from the other direction) must only slow down to no more than ten mph and not resume normal speed until passing both the bus and the child that has "alighted" from it. In Alabama, improper passing of a school bus will result in a fine of at least $164 and five points against the driver's license. In New Jersey, drivers will also receive five demerit points and will have to pay a fine of no less than $100 and/or serve 15 days in jail or 15 days of community service. In Colorado Springs, Colorado, adults who improperly pass a school bus will receive a fine of $10-$300, possible jail time of 10-90 days, and six demerit points. Minors who receive this citation pay less severe penalties. One-way streets are typically indicated with a sign depicting an arrow pointing in a particular direction. When a driver does not see the sign and proceeds in the wrong direction on a one-way street, a ticket may result. The average fine for driving the wrong way on a one-way street is $100-$120, and most states also assess two points against the driver's license. In Alabama, a wrong way on a one-way street violation comes with a fine of up to $165 and four points against the driver's license. By contrast, in California, the fine is not more than $100 and results in just one demerit point on the license. Drivers may successfully dispute the ticket if the one-way sign was not readily visible. States usually have a number of minor moving violations that are fairly uncommon but can still result in citations. Failure to stop for a police whistle, failing to stop for a funeral procession, slow speed blocking traffic, operating a moving vehicle on a sidewalk, and unlawful use of median strip are all examples of minor moving violations. These types of violations usually result in 1-3 demerit points on the driver's license and fines of $100 or less depending on the state.